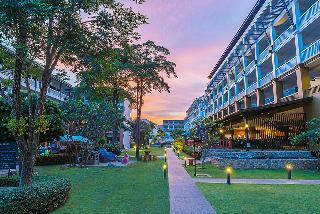 Centara Kata Resort Phuket is located in the heart of the popular Kata Beach. Enjoying a stunning beach location, the resort is just 1.5 kms from Phuket town with its vibrant attractions and nightlife.This modern, resort-style hotel enjoys a picturesque location and panoramic views over the neighbouring hills and vegetation. The unique blend of traditional Thai and contemporary-style architecture allows the resort to blend in seamlessly to the stunning surroundings. The beautifully decorated accommodation units offer a haven of comfort and convenience. The resort boasts a host of leisure and recreational options with something for all the family. The resort also offers first-rate dining options where guests can sample the delights of a variety of cuisines with something to entice even the most discerning traveller. 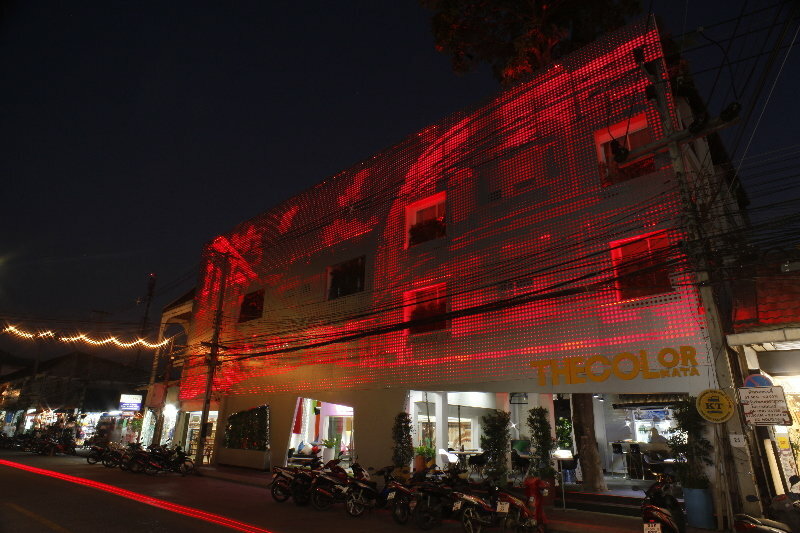 This hotel enjoys a great location in Phuket, lying just a short distance away from Kata Beach. The hotel is surrounded by ample opportunities for adventure and discovery, within easy access of a host of shopping, dining and entertainment venues. The centre of Phuket is just 10 km away. 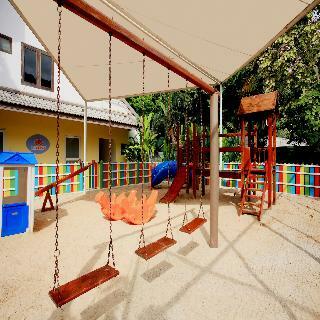 The hotel is conveniently located just 45 km from Phuket Airport. This wonderful beach hotel welcomes guests into a world of tropical style and charm. The guest rooms are eloquently designed, featuring refreshing tones and a peaceful ambience. The hotel offers a variety of exceptional facilities and services, ensuring that guests enjoy a truly magical experience. This mesmerising hotel is located just a 20 minutes' driving distance away from the vibrant town of Phuket, and is a 45 minutes' drive from Phuket International Airport. Sitting just 500 metres away from Kata Beach, the hotel is the ideal option for travellers seeking a truly rejuvenating holiday. This boutique hotel features a charming architectural style, blending effortlessly with its surroundings. 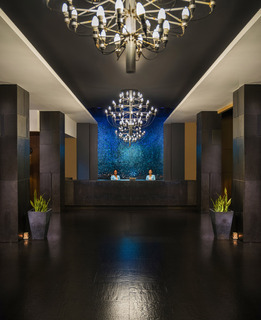 Guests will be blown away by the sheer style and beauty that the hotel enjoys. The guest rooms boast striking designs, with each one enjoying an individual style. Retro colours, crisp white tones and intriguing pieces of art and furnishings will impress at every turn. 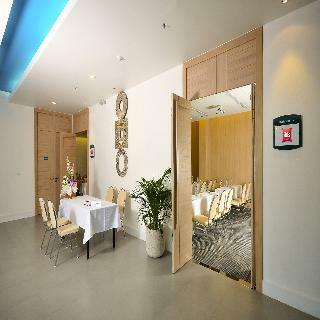 The hotel also offers an exceptional array of first-class facilities, adding comfort and convenience to the experience. Outdoor Inn & Restauran is 4 minutes walk from the beach. Just a 12-minute walk from Phuket's Kata Beach, Outdoor Inn & Restaurant offers air-conditioned rooms with free Wi-Fi and a flat-screen TV. 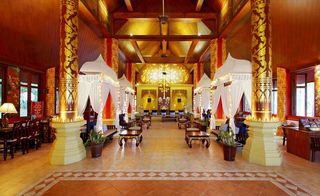 It also has free parking.Decorated with Thai artwork and wooden furnishings, rooms are equipped with a minibar and fridge. 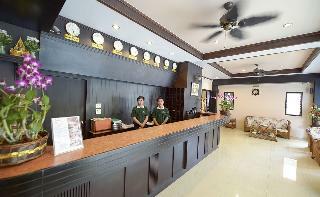 All rooms have private balconies, while only selected rooms come with a kitchenette and sofabed.Outdoor Inn is a 10-minute drive from Patong Beach, famous for its restaurants and shopping. Phuket International Airport is a 45-minute drive from the inn.The inn's famous restaurant has been serving delicious Thai food, fresh seafood and European dishes since its opening in 1999. It also offers a daily American breakfast.Guests can rent a motorbike to explore Phuket at leisure, or arrange a day trip at the tour desk. The inn also provides a computer corner and laundry services. Basking in a spectacular location just 5 minutes from the nearest beach, the Kata Palm Resort and Spa offers a haven for travellers looking to get away from it all. For those guests who are eager to explore the delights Phuket have to offer, the resort is situated in the immediate vicinity of an array of shops, restaurants, bars and nightclubs. The revered Phromthep Cape is a must-see for guests travelling to the region and is just 15 minutes from the hotel. The airport is also easily reachable from the resort via local public transport and is just 50 minutes away.This opulently appointed resort exudes elegance and beauty amidst spectacular surroundings. The resort's fine-dining options are sure to impress even the most discerning tastes offering traditional Thai and international cuisines. There is something for everyone. Situated in Kata Beach, this charming boutique resort is around 10 minutes' walk from the centre of the town and just 500 metres from the beautiful beach and the shops and bars along it. Home to Phuket Island's most beautiful and exotic healing centre, it is the perfect place for a truly rejuvenating vacation. The massage therapists have been thoroughly trained in healing therapies in order to deliver a unique experience. 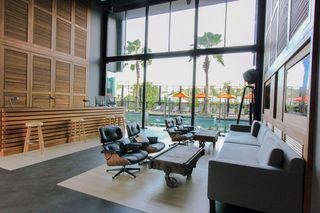 Further relaxation can be found in the steam room, and those who enjoy swimming can take advantage of the outdoor pool with its separate children's swimming area. 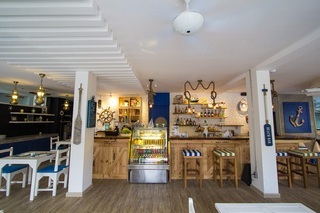 Refreshments are available from the poolside snack bar and for a delicious Thai or international meal guests can head to the excellent restaurant. The grill offers room service and serves a wide range of meats and European dishes, the perfect place where to spend a relaxed evening. The only hotel with an elegant blend of Scandinavian and Thai Classic touch, with all the latest amenities and ensuring relaxing stays for our guests. It is about five minutes to the quite Kata Beach, where visitors can readily enjoy the calm, clear waters of the Andaman Sea and beach activities. The magic of our hotel begins with its location, directly in front of the Beach Centre, 5 minutes to the powdery white sand Kata Beach. Set in the heart of Kata Beach OZO Phuket is conveniently located just 100 m or a 2 minute walk from the white sandy Kata beach. OZO Phuket features accommodation with an outdoor swimming pool, kid's water park with slides, fitness center and all day dining restaurant.This 4-star hotel offers a 24-hour front desk, a lounge area, a boardroom and a transport service is available.All rooms have modern design and are equipped with individually controlled Air Conditioning, comfortable beds, flat screen TV and multimedia hub. Some rooms have a balcony. Rooms at OZO Phuket have garden view, pool view and panoramic view over the area. All rooms provide guests with a private bathroom.A buffet breakfast is available each morning at our signature EAT restaurant. This restaurant also offers lunch and dinner and specializes in Thai and International cuisine.Kata Beach is 100 m away. Karon Beach is 1 km away. Kata Surf house is 1 km or 10 minutes walk away and the nearest airport is Phuket International Airport, 45 km or 60 minutes drive from OZO Phuket.